Plot: In 2027 hope for the human race is running thin. There are no children, pregnancies and people have turned on one another. One pregnant woman needs to bear her child to give save the world from itself. A powerful and gripping dystopian thriller with evocative visual imagery and a great performance by Clive Owen. The political and social commentary are remarkably prescient for a film made almost fifteen years ago. The direction of the chases are less like action scenes and more like guerilla combat footage. 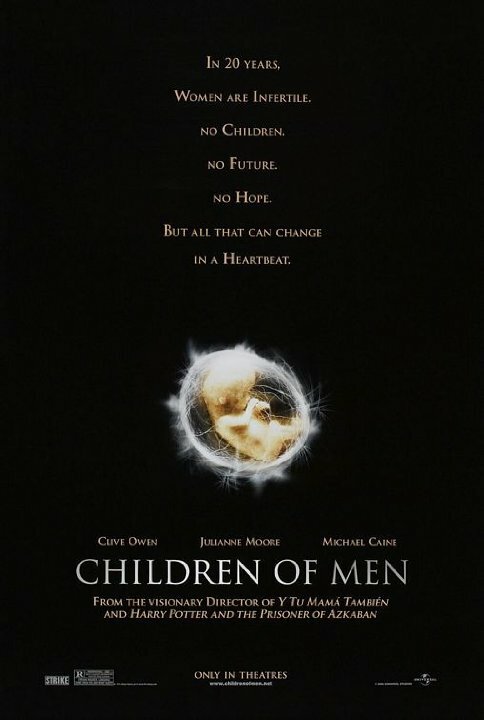 Children of Men is often a dark story but it’s ultimately a hopeful film about the future of humankind. One of the best films I've seen! Didn't know this film exist until I searched for Alfonso Cuaron-directed movies. I think this is the greatest sci-fi/war movie ever made. It's sad that it did not receive that much recognition. But really superb cinematography and direction. A lot of jaw-dropping actions and amazing actions that I couldn't even think how the production team create them. Excellent film!!!! This is a brilliant film but when I first watch this movie I was not a fan but I watched the movie again and I don't know what I was smoking. This is not only (possibly) the best dystopian future movie I've ever seen, but it's also one of the most underrated I've ever seen. Considering this movie landed tons of Top 10 lists of critics in 2006, I should not call it underrated. More overlooked over time. Alfonso Cuarón is a very dark-toned director with a simple style that I really like. I loved his take on Harry Potter. The camerawork in this movie is amazing, often are many of them just one shot. That is exactly what I like. No jump-cuts and quick edits. Just letting it roll solidly. A shot in this movie lasts a whole 4 minutes. This is Clive Owen's best performance (at least his best that I've seen). His character is not only fleshed out well, he is given purpose. He is given emotions and sacrifice. No posts have been made on this movie yet. Be the first to start talking about Children of Men!